SCVHistory.com | Law Enforcement | Assailant Gus Le Brun, Deputy Constable Ed Brown Killed in Gun Battle, 1924. Assailant Gus Le Brun, Deputy Constable Ed Brown Killed in Gun Battle. Ex-Star Complaint Ends in Fatal Duel. (Reno) Nevada State Journal | September 15, 1924. 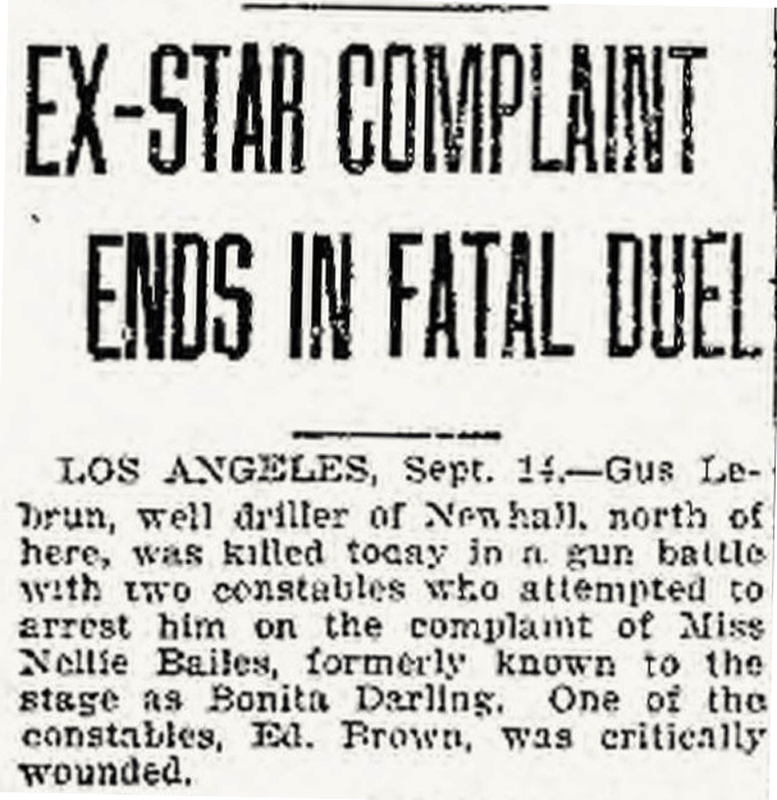 Los Angeles, Sept. 14 — Gus Lebrun, well driller of Newhall, north of here, was killed today in a gun battle with two constables who attempted to arrest him on the complaint of Miss Nellie Bailes, formerly known to the stage as Bonita Darling. One of the constables, Ed Brown, was critically wounded.